Much of what transpired musically in the '90s has been resigned to a particular time and place in the history of music, the various movements explored in that strange decade given names—grunge, britpop, "alternative," pop punk, nu-metal, rap rock, and so on—filed away, and left behind. Any musicians trying to do what Nirvana or Pulp did, no matter how well they pull it off, have to deal with the music press deeming their sound not only heavily derivative, but dated. Those waves crested, peaked, and crashed; the waters have since retreated deep into the sea, and signs along the beach direct us to only revisit these moments when a reissue arrives on the shelves of our local record store. That said, some threads picked up in the '90s still feel as vital today as they did then—take Radiohead's OK Computer or Massive Attack's Mezzanine. Perhaps there is still something "distinctly '90s" about the albums, but those textures, atmospherics, and aesthetics—you don't have to wander too far into the contemporary music scene to find their reflections and echoes, all the music that exists because of and within these veins. Where pop punk and nu-metal reek of yesteryear, a fattened beast whose carcass no one wanted to linger too close to after its brief life and abrupt demise, the territory that certain artists pioneered—Radiohead, Massive Attack, chunks of the Polyvinyl Records roster, among others—is still very much a medium capable of artistic expression today. One of the things that struck me about Warpaint's The Fool was how well these talented musicians situated themselves among those resilient textures, enough to get a few people saying, "This could have come out in 1996"—not in a dismissive way, they meant that The Fool could have come out in 1996 and would still be an album they frequently return to. Beyond tapping into an elusive series of tideways that's survived nearly twenty years, Warpaint aren't merely picking up a task the Breeders began, they are pushing off into the shadows in directions their predecessors did not. In his review, the Quietus' Mof Gimmers does a fine job describing their sound as a mix of "60s wall-of-sound baroque pop, shoegaze otherworldliness, Sub Pop slackerdom, garage pyschedelia, R&B hookiness and ketamine hip-hop," underscoring how Warpaint have a unique talent for echoing the past, entangling these influences with their own sound, and pushing headlong into the fading daylight. 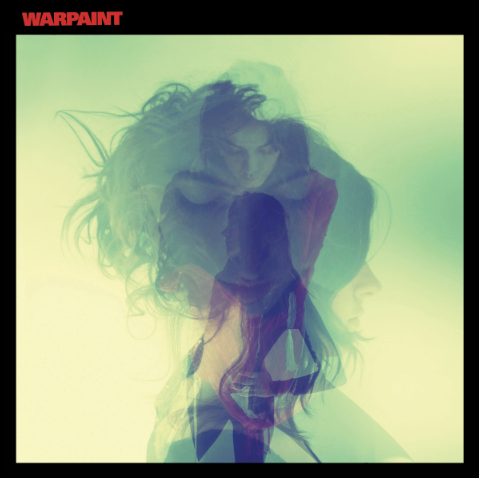 Warpaint is the group's finest record to date. Lead single "Love is to Die" marries the jagged edge of Call the Doctor-era Sleater-Kinney with the druggy ambiance of Massive Attack; "Biggy" furthers the trip hop-esque influence, mixing in a touch of early-Björk for good measure; "Go In" would not have felt terribly out of place among the work that came out of the Amnesiac sessions; and closer "Son" takes a funeral dirge and makes it beautiful, even hopeful. From the intentionally messy (yet surprisingly successful) opening intro, it's obvious that Warpaint is the work of a band at the height of their powers. From start to finish, this is a brilliant record. Less than a month into the new year, I'd be very surprised to not find Warpaint on my Top 10 come December.